Count on these cold weather hacks to see you and your homestead through the freezing winter. Learn some winter hacks for your car and tips to stay warm outside. Use these old tips and new tricks to keep warm and safe in the cold. These cold weather hacks are effective in my homestead and could be for yours, too. Continue reading to find out which cold weather hacks suit you best! The common cold and flu are some of the side effects of winter weather. Drown the symptoms of cold and flu with these home remedies. They’re all-natural, effective, and right in your budget. 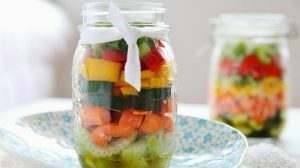 You will also want to boost your immune system this cold season. These natural ingredients will do a good job at it. Avoid buying new and costly sets of mittens this season. Rummage through your closet for suitable materials to repurpose or upcycle. You can make this pair of cozy and comfy mittens from old knitted sweaters. Make use of your winter season downtime for some fun upcycled sweater projects. You don’t have to stash your canvas shoes in the closet this winter. Homesteaders have a way to make them waterproof and winter-ready. Follow this simple and easy trick on how to waterproof canvas shoes with wax. Light up some candles to add heat while cutting down on electric bills. Don’t worry about spending on them either and learn how to make your own instead. Take this homemade candle tutorial and personalize your candles with scents you love. Enjoy warm air and a mood-boosting scent in your cozy room. Anyone who has ever tried to use their bike in the winter will tell you how the snow can be very treacherous. When avoiding the use of bikes isn’t an option, winter weather-proof them without the expense. Try this amazing winter hack and keep those tires rolling in the winter weather. Make the best cup of hot chocolate with this delicious hot cocoa recipe. Stay warm and comfy in the cold winter weather. Nothing like a hot cup of coffee to keep your body heat. Use old quilts as curtains to help keep the heat inside. If you have thicker quilts, all the better. They will be perfect to ward off the cold air busting through your windows. It’s a simple energy-saving hack to try in your homestead this winter. Use ‘dead’ alkaline batteries’ last bit of energy as a hand warmer. This isn’t much but every little will help this winter. Remember to use only dead batteries and not new ones. Also, use only alkaline batteries. Drain out the last remaining energy from the batteries. Use a 1-ohm resistor to connect the terminals. What liquid can resist the freezing temperature? High proof vodka or 99% alcohol is your answer! Pour 8 oz. of either alcohol or vodka in an empty and clean 1-gallon jug. Fill it with water leaving room for an oz. of castile liquid soap. Add the soap, mix, and pour the homemade windshield washer fluid into the correct area. Boost the power of your wall-mounted radiator or heater. Place a layer of tinfoil opposite the wall. This will help reproduce the heat into the room. Be careful not to use anything else flammable. Slippery lanes and driveways are a problem in winter. Screws in your shoes can help you gain traction in the slippery snow. Stick small screws around the sides of your shoes’ soles. Be careful not to have the screws exposed in the sole or they might hurt you. Frosty air getting inside your house is a problem in old houses with wide gaps under the doors. There are draft blockers for sale, but the prices can be outrageous. Use a piece of pipe insulation to fill in the gaps. Slice along the length of the pipe and slide it underneath the door. Stick your windshield wipers in the air and cover them with old socks. This way your wipers won’t stick to your windows. Simple, yet one of the more ingenious winter hacks for your car! You can make a DIY heater with terracotta pots. All you need is a clay pot or three (depending on your design), large stones, and some candles. Make sure to follow safety precautions when using your finished product. Add warmth and coziness to your pair of winter booths or mucks. Make a pair of insoles from some old woolen moss felt. 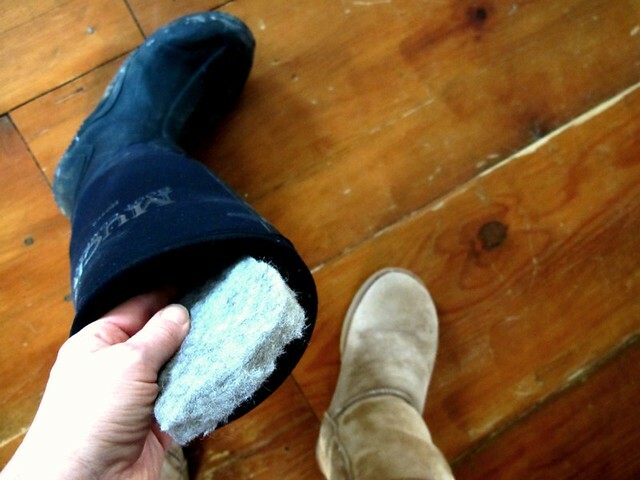 Pull out the thin insoles from inside your boots for your pattern. Cut them out and slide them inside your boots. Now you have warm and toasty feet with this simple winter trick. With mittens covered, take on this DIY slipper boots project next. It’s another upcycled sweater project to match your upcycled sweater mittens. Use the sleeves of a knitted sweater for the leg pieces. Cut a separate piece from the fabric for the soles. Stitch to connect the sole and leg piece and it’s done! Imagine trying to get indoors with an unseen assailant after you. You try your key and surprise, surprise–frozen lock! Talk about worst-case scenarios. But with or without an assailant, frozen locks are a bummer. Always have a lighter handy in your purse or pocket in winter. Heat the keys with a lighter to thaw the lock. Stop rubbing your hands raw against each other when you can make hand warmers. We can never have enough hand warmers in winter so have fun making more than you need. Give them to your family and friends and warm their hearts! Keeping a car mat in your truck will come in handy and very useful in case your tires need traction. You never know when your winter tires will still need a little help. This may seem like a no-brainer. But sometimes even we homesteaders forget to try the simplest things first! Utilizing natural energy is the cheapest way to keep warm during winter. 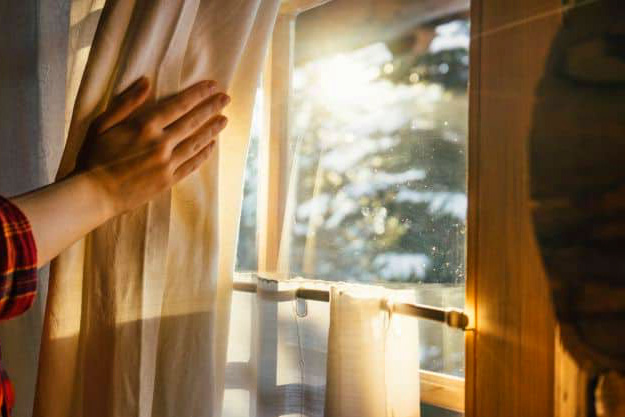 Open the curtains wide to let the sunlight and warmth in. Run your ceiling fan on low and spin it clockwise. Doing this will push the warm air rising to the ceiling back down. Do this a couple of times to produce warm air around the room. Make good use of the piping hot oven after baking. Leaving the oven door open after baking will release the heat into the surrounding area. This will give you a burst of delicious-smelling warm air. Winter clothing hacks aren’t in short supply online. But, keeping warm with clothes is simple. Layering up doesn’t always mean adding lots of bulk. Use running tights or pantyhose under your regular pants to keep warm. It’s about quality, not quantity! It’s hard to heat up a room with all the doors and windows open on cold nights. Close the doors to a room where the family gathers, say, the living room. This will concentrate all the heat in this room and keep your family warm. By facing east where the sunlight is coming from, the frost in your car will melt fast. Let the sun’s heat do a lot of your snow removal work for you. That’s letting Mother Nature take care of you. It’s not only uncomfortable but also dangerous to walk in the snow with your socks wet. Keep your feet warm and dry in the snow with plastic bags. Slip in sandwich or plastic bags in each foot after putting on thin socks. Two pieces of plastic bags will work for each foot. To secure the bags, slide in another thin sock and you’re good to go. Shoveling some snow on cold winter days seems like a monstrous task. Yet it is a must, especially if this is for the driveway. To make it easier, spray your shovel with non-stick cooking spray. Your shovel will slide with ease on the ice and snow won’t stick. Now that you know the snow shovel trick, here’s another one. Sweep light snow away with a broom rather than a shovel. It’s less the effort and the broom will also ensure you get all the light snow. Use a tin foil as a fireplace cleaner. Place a two-fold layer of tin foil at the base of your fireplace before you start a fire. Once the fire dies out, all you need to do is to pull out the ash-covered tin foil and toss it. It’s nice to jump into a toasty bed without spending an extra cent on electricity. Place a couple of warm water bottles on your bed a few minutes before tucking yourself in. This will give you warm and comfortable sleep during cold winter nights. If your salt supply is not enough to defrost your walkway, do this trick. Combine 1 teaspoon of rubbing alcohol, dishwashing liquid, and 1/2 gallon of hot water. Splash it on your walkways to melt the ice. Orange peels make great fire starters, with the skin containing some oil. To store, toast the peels in a pan and put them in a container or paper bag. Include a pack of silica to hold keep it dry. Don’t let your warm bath water go down the drain. Keep the water in the tub until it comes to room temperature. This will keep the warm air in a room and add much-needed humidity. If your shoes get wet, stuff them with super-absorbent microfiber towels to get the cold out fast! So keep microfiber towels handy wherever you go around winter time. If you’re short on rugs but have old quilts or blankets these can work. Place some rubber non-slip mats under the quilts or blankets to avoid accidents. Need more winter life hacks? Get more here from HouseholdHacker! Knowing these cold weather hacks will help you not just survive, but enjoy the winter weather, too. Put these simple yet practical cold weather tricks and life hacks to the test. Try these cold weather hacks to find out how effective they are in your homestead! Do you have any other cold weather hacks you’d like to share? Leave them in the comments section below! Up Next: 8 Foolproof Ways To Prepare Your Home for Winter! Editor’s Note: This post was originally published in December 2016 and has been updated for quality and relevancy. How the heck do I get rid of that LIKE ME! bar that completely blocks the left side of the page? Sorry about that! The system is updating so the site might have a couple of glitches on it for the next few days. Working hard to fix it. Thanks for your comment and Merry Christmas! Sprinkle cayenne pepper in the soles of your shoes, lightly. If you are working outdoors you need lots of high carb foods. Keep your head warm and dry; looking stylish in the snow, rain or cold is silly. Learn to identify the signs of hypothermia and how to treat it; watch your family or team for the early warning signs; sluggishness, stuttering, denial, clumsiness. Warm the person up slowly; put them in a sleeping bag or warm them with body heat. Too much heat too quickly can be fatal. Red pepper flakes work great too. NEVER use against your skin !!! Also wear warm socks that you don’t mind getting stained with the pepper. Otherwise you will ruin those new socks! It doesn’t take much pepper flakes either….use sparingly until you find a good comfort level. Appreciate the list . . . thanks for publishing. Thanks for sharing my post! I hope it helps some people out! Since I live in a Double wide with double window. I still use clear shower curtains up on the windows and stop the cool air just from the glass surface. You can even sue 1/4 in styrofoam fitted and that works too. I’m up 5,000ft so we do get snow at times. And we also have a pellet stove that works great. As to filling up a bunch of containers with hot water to put on one’s bed to warm it up before bedtime, that is what dogs and cats are for. The best thing about that is that when one wakes up the next day, the dogs and cats never wake up on the wrong side of the bed. 70 years ago when everybody burned coal to heat buildings, no one used salt on the roads. We needed a way to get rid of the coal ash and putting it on snowy roads solved two problems. Got rid of the ash and provided a non-skid surface. I love these suggestions. These are simple and inexpensive. Outstanding tips for cold weather!! We don’t need those relating to snow here in Texas but I’m forwarding to all of my relatives and friends in the cold northern 48 and Alaska. Keep them coming! The one problem with most of the tiny houses shown is that the floor is exposed to the weather. Needs good insulation under the floor too. Thinsulate clothing; it is incredibly lightweight and thin we use it when it gets around -30C and below, it comes in the form of gloves under layer clothing, face masks and socks. Instead of using rubbing alcohol water and detergent for washer fluid use methanol it’s extremely cheap about 4 dollars a liter and when mixed with water 30%-50% methanol to water gives a freeze point range of -26C and -54C. When buying winter gear for use in extended periods of time outside 8-16 hours half the equipments cold rating, 16-24 hours half it again, for example a jacket that is good for -50C will keep you very toasty in -30 about 8-10 hours of being outside you will feel the cold begin to penetrate the jack as it is essentially rated for -25. I’ve worked with guys who were starting out in my industry outfitted in brand new -40C rated gear who ended up getting frost bite on their hands and feet after 12 hours in the cold. Forgot to mention always keep a bag of kitty litter in your vehicle works great when your car gets stuck and you wont tear up your floor mats. where can i find tin foil? i thought they stopped making that back in the 50’s! all i can seem to find is aluminum foil . . . i’m soo confused. One year when we got a lot of unexpected snow and I didn’t have snow boots, my mother covered my regular shoes and socks with bread sacks and a pair of my dad’s wool Army socks! Worked perfectly, though the snow did stick to the socks pretty badly! This past winter we used pool noodles against our outside doors for draft dodgers. My daughter wrapped them with old towels but I think you could pull old socks onto each end. Could crochet or knit a fancy cover or fashion covers from old sweaters too! Easy to move and you still have pool noodles for the summer time! Cut the pool noodle to the length you need….skinnier noodles can be used in a window sill too! If there is a LOT of wind just load the “noodle” hole found in the center with clay cat litter!